Anyone who’s ever caught a Virgin train might baulk at the suggestion, but there’s a lot of truth in Branson’s statement. Employees’ determine the success of a business day to day. They also contribute hugely to the value of a business when it comes to selling it. Although the typical business value calculation only looks at revenue and profit, buyers want to see a company with a viable, dynamic culture that has great potential. Having a strong employer brand will help attract and retain the right talent, and attract buyers and help seal the deal. Building a employer brand takes great marketing, both internal and external. To investigate, we caught up with Stuart Calvert – Regional Director at our Liberti Group partners People Puzzles – to answer some of the big questions about employer brand and why it’s so important. An employer brand is the external appearance of an organisation from an employment perspective. It comprises how the business portrays itself, what it says on its website, what people are saying about the company online, and its recruitment activities, including how it markets vacancies. Stuart advised us to look at Chris Morling from money.co.uk, who sold the business recently. As the embodiment of his organisation’s values, he puts money to work with extensive support for skills charities and heritage regeneration, showing that his values extend beyond revenue and bottom line “Chris has been voted Entrepreneur of the Year and he’s put £3 million into a stunning head office, that was a former castle, that puts people in the right roles and the right workspaces to do their best.” Small wonder that his £25m turnover company sold for £140m earlier this year. While this can be seen as strong leadership, and it is, the important thing is defining and communicating these brand values to employees and customers, promoting them in the right way with strong PR and social media activity, and getting staff internally involved and onboard. These key elements fall squarely at the feet of the marketing department. How do you build a strong employer brand? As well as marketing products, you need to market the business. Consider a career page to showcase your team; real people telling real stories about what it’s like to work for you. 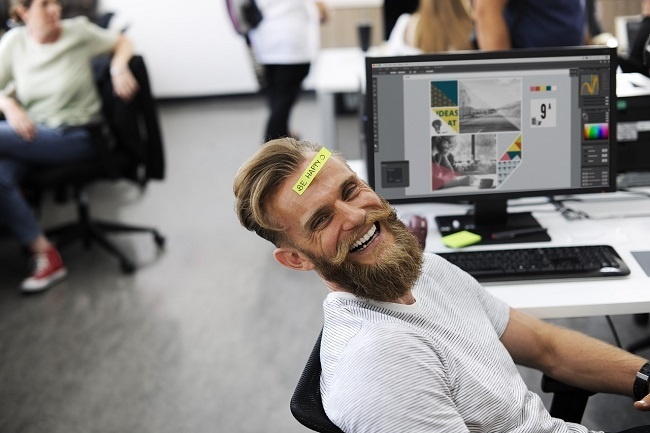 Videos showcasing your company culture can show your people as they are - not directly claiming your business is great to work for, but highlighting the kind of personalities that work well there. Offer personal development opportunities - show that your people can learn and grow their remit and responsibilities. CPD shows that your employees are investing in themselves, and that you’re investing in them. When you’re trying to sell a business, marketing collateral means something different to when you’re selling a product or service. Your brand’s value is reflected less by what you sell and more by who sells it - by your existing employees, who show that the business is working well day to day. How do marketing and HR work together to attract and retain talent? To attract talent, you need a brand that looks attractive. While the whole organisation should be involved in building the employer brand, it’s marketing that builds presence in the public eye and attracts people for HR to recruit. Stuart recommends a workshop with marketing and HR teams to create the company values, and all the collateral you’d use for an external, customer-facing event, but without the business owner in the room. The process involves warming up employees exactly as you would a customer - getting them out of the “it’s just another job” mindset and converting them into brand advocates. What impact does employer brand have on the sale value of a business? A strong employer brand will lead to more talent in the organisation and a more ambitious, driven culture. Therefore, your business will be more attractive to potential buyers and ultimately more valuable. HR and Marketing need to work closely together to establish those brand values, ensuring they’re embodied in the company and communicated to the outside world. You can take stock of your employer brand with a Marketing 360 healthcheck - take it here today.